On the heels of answering questions about how to annotate PDFs, I received a question on the Practical Ed Tech Facebook page about annotating Google Slides. You could do that by exporting your slides as PDFs and then importing them into Kami. Or you can use the drawing and commenting tools built into Google Slides. 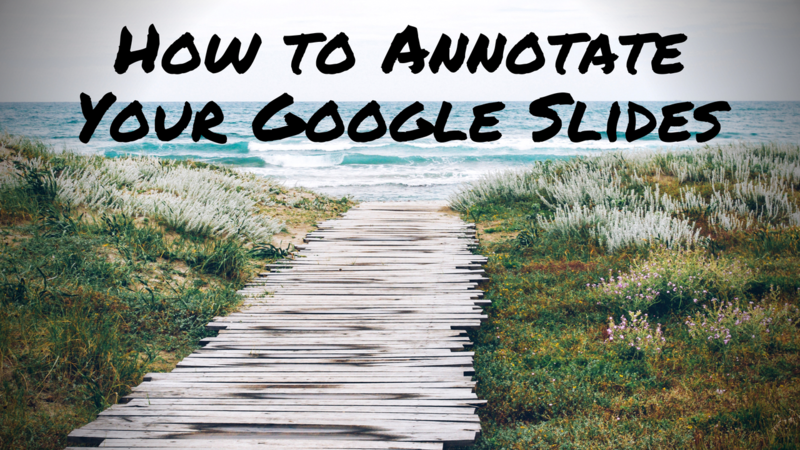 In the following video I demonstrate how to annotate Google Slides by using the drawing and commenting tools built into Google Slides. You could use the drawing and commenting tools in Google Slides to give your students feedback on the content and design of their slideshows before they present them to your class. You might also use the drawing and commenting tools as I demonstrated in the video to have students respond to questions about elements within a slide.